Have fun before the holiday and bring your youth to explore robotics and decorate cookies! 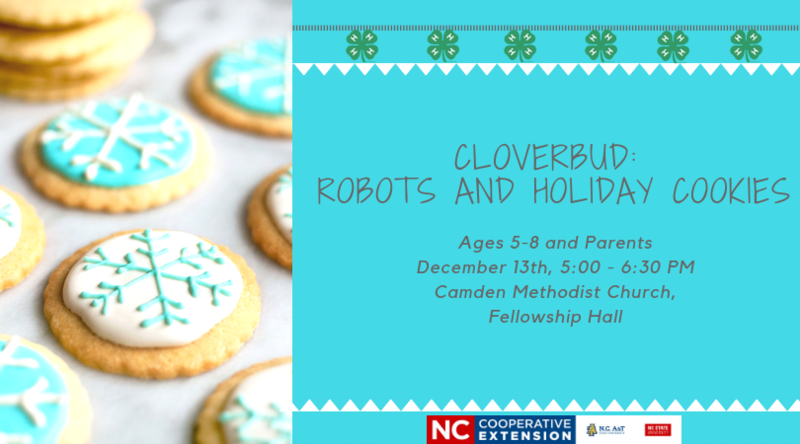 Cloverbuds, ages 5-8, and their parents are welcome to come out on December 13, 2018, from 5 to 6:30 p.m. to the Camden Methodist Church Fellowship Hall for a fun and interactive evening. 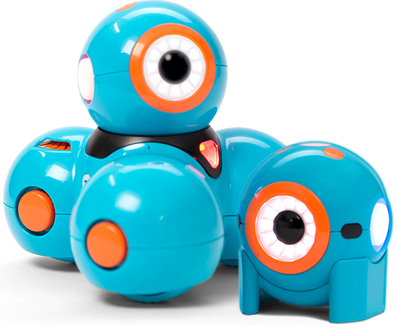 We’ll explore Dash and Dot robots that are designed for children in grades K-3. Registration is $5 for youth. This is a fun way to get excited about robotics and coding, which is an increasingly important skill in our society. Kids will get hands-on experience and have a blast as they work on challenges. Since it is the holiday season we’ll all enjoy the fun treat of decorating cookies to fuel our exploration! Sign-ups are available. Your spot is confirmed when payment is received at the N.C. Cooperative Extension, Camden County Center and 4HOnline registration is completed. Space is limited and available on a first come, first serve basis. Accommodation requests related to a disability should be made by December 3 to Ali Huber, 252-331-7630 and ali_huber@ncsu.edu.